formally into the party today. tomorrow (today) at 12(pm),” he said. state is indicative of the problem that lies ahead. governor is also strategizing and has his plan B.
end gave his nod for the defection. part of the event,” one of the sources said. from his ward in Ngala town in Central Borno. the APC leadership in Abuja today. behind the success story of many politicians. strengthen it in Borno and environs,” he said. Bulama could not also be reached. aware Sheriff would join the party. party after the 2015 general elections,” he said. definitely not leave APC for Sheriff. Shettima was instrumental to Sheriff’s defection. his personal jet for campaigns. they were aware of Sheriff’s defection. 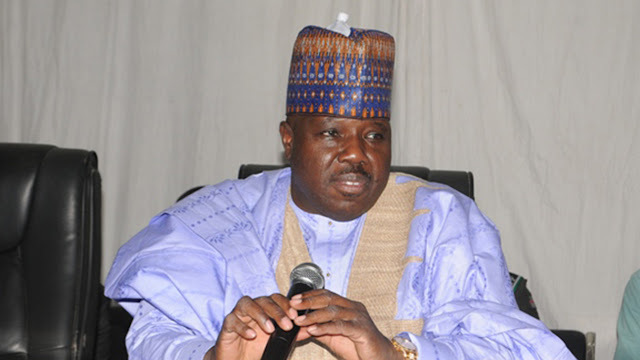 remain in PDP,” he said.